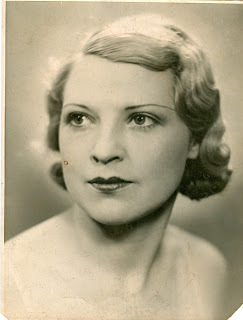 Yesterday I found out that my Great-Aunt had died at the grand old age of 100 (and 9 months). 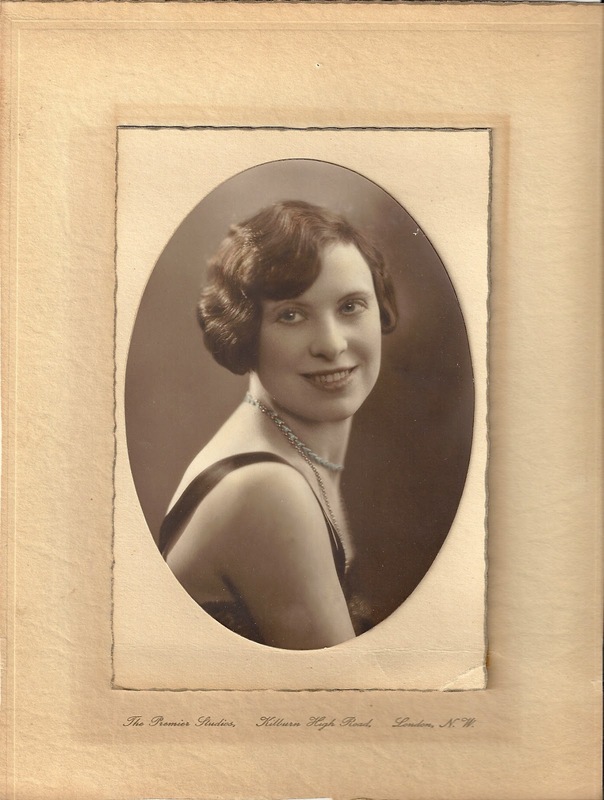 She was an amazing lady who had led a full and happy life; and when I think about the changes that she saw since her birth in 1911 it is quite mind-boggling. I'll miss her greatly, she was a fantastic lady with a zest for life and a great sense of fun. When I was young she'd call me 'pink imp' - as I wore quite a lot of pink and was a rather precocious nuisance! She was the last of my paternal Grandmother's siblings (they were the two youngest) - so all the stories of that generation and those they remember from before now remain untold. I now pay tribute to the my family (whose genes are my genes) and their lives. Eugene - my paternal Grandfather. Born in the first decade of the last century in Riga, Latvia. 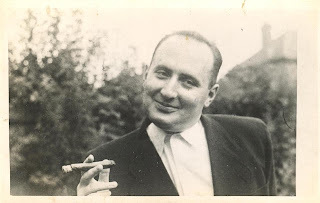 His family was Jewish and fled Russia to escape the pogroms. Unfortunately the next place they landed was Berlin, which they also had to flee as the Nazis took hold. Fluent, so I'm told in several languages, he was killed in an automobile accident on the way to visit my Grandmother and infant Father (who had been evacuated during the war). Anita - eldest of three children from her Father's 2nd marriage; my Father's mother and wife of Eugene. After his death she bought my father up alone; a single parent ahead of her time. After my parents married she lived with them until her death. Great teller of stories and companion for watching old films - huge fan of James Stewart and Cary Grant! She was an enthusiastic knitter and her knitting bag lived down her side of the sofa; rarely did an evening pass without the 'click-clack' of her needles. She provided many knitted toys and dolls outfits! She also suffered from asthma which must have been quite a trial until the advent of the modern treatments delivered by inhalers. Her death in my early teens was my first experience of losing a close family member. 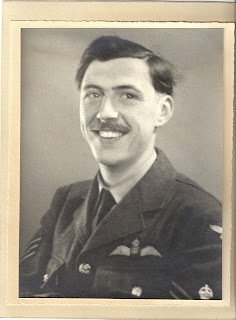 Henry - my maternal Grandfather, pictured here in his RAF uniform. 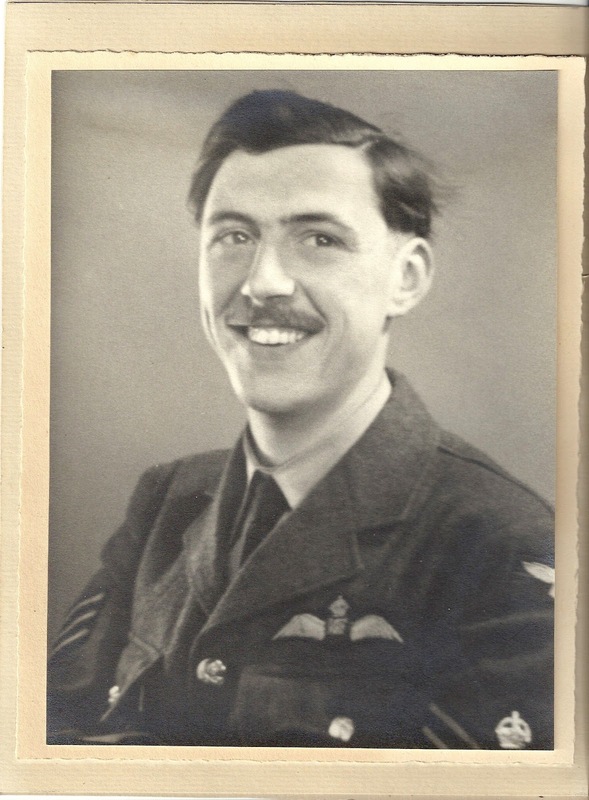 He was a bomber pilot during the Second World War; and our family is extremely eager to see the new Bomber Command Memorial shortly to be unveiled in Green Park at Hyde Park Corner. He and my Grandmother were married for sixty years (they did marry young). 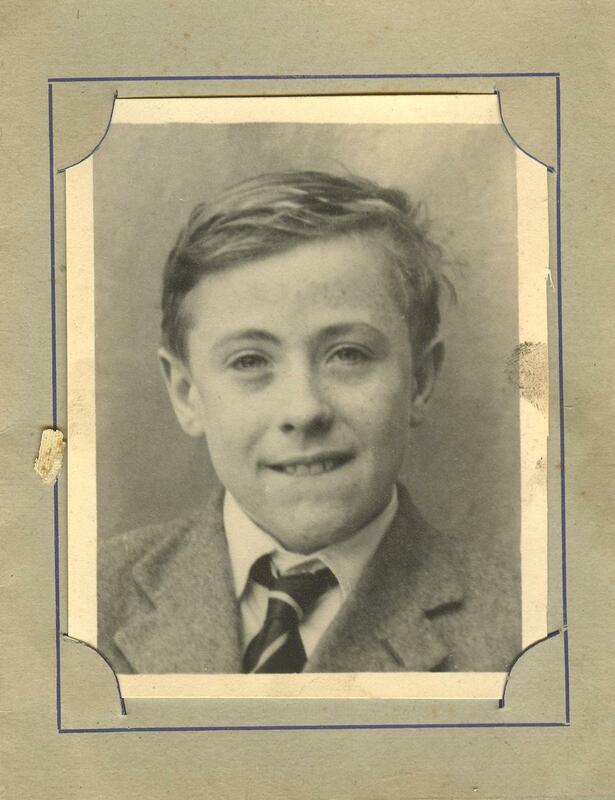 My Grandfather was an avid reader (if that is genetic he definitely passed that on to me). He was also, despite being born in the 1920s, an avid computer user; a self-taught programmer and owner of several computers. He would have been fascinated, I'm sure by the internet of today. 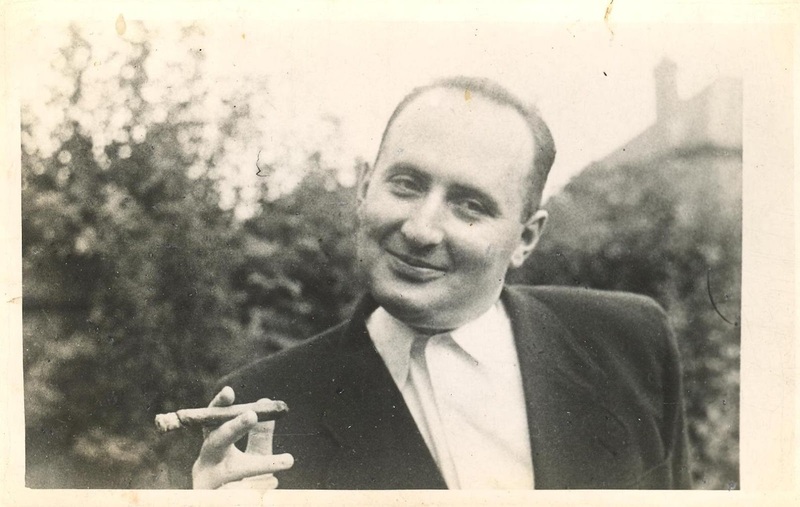 Peter, my beloved Father. 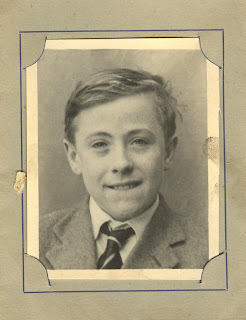 Shown here in my mother's favourite picture of him in his school-days. It is was partly him that inspired me to be a Quantity Surveyor (that being his profession). When I was in my teens he had his own company and I used to help out sometimes comp checking; holding the other end of the tape measuring on site; and even on one memorable occasion moving a corridor of books from shelves to be painted. He and my Mother were married over 35 years (they didn't marry so young); and along with my maternal Grandparents had one of the most loving and enduring marriages I have known. On the back of the Order of Service at his funeral my mother had written a quote from Shakespeare's Julius Caesar "His life was gentle and the elements so mixed in him that Nature might stand up and say to all the world "THIS was a MAN!"". Sylvia my Great-Aunt. A dancer on the stage in her youth in a precision dance troupe; in her day probably a minor celebrity. She was like a second mother to my father, helping my Grandmother out in school holidays and so forth. My memories of her are of the time spent with her, my Grandmother, and their elder half-brother and half-sister on weekly shopping trips to Brent Cross. These started when they all lived in North London but continued when we moved to Kent and it was a special day out to go up to London on the train, take the Northern Line and then spend the afternoon at Brent Cross. I also have vivid memories of her flat which had one of those old fashioned cage lifts which went up the middle of the stairs. Her flat was on the top floor and often my brother and I would have a race; one in the lift watching the other hurtle up (or down) the stairs.